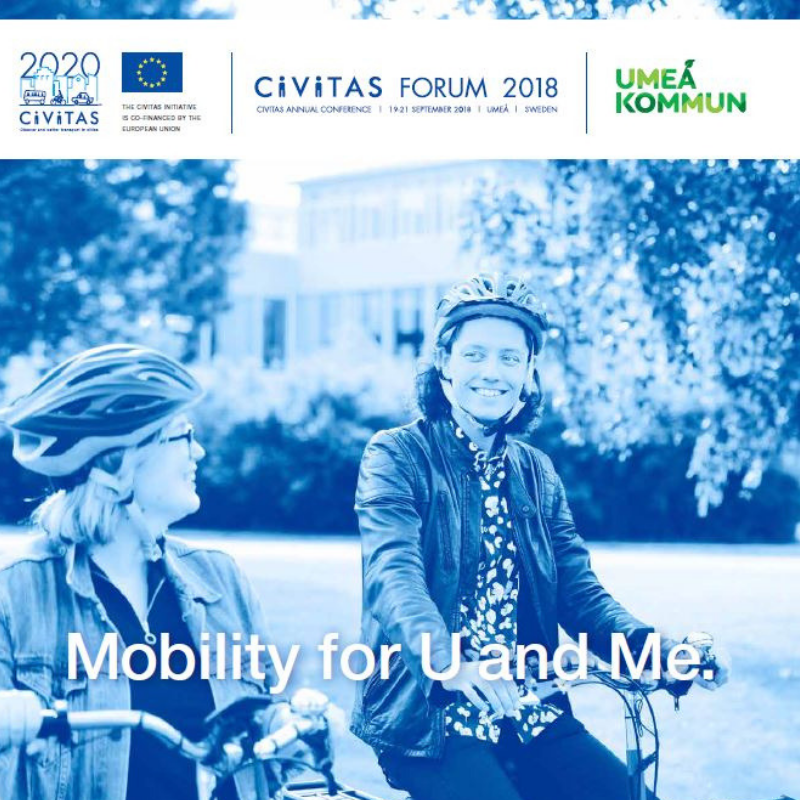 From 19-21 Septembre, STARS participated in the 16th edition of the CIVITAS Forum Conference, taking place in Umeå (Sweden). Gathering city representatives, policymakers, academics and mobility experts from Europe and beyond to debate about solutions to bring a sustainable and clean mobility to European cities, this event was a great opportunity to present the STARS project and its first results. Visitors could meet STARS partners on a dedicated stand shared with 3 other related projects: MoTiV, HiReach and INCLUSION. Flyers and detailed information were also available to explain objectives and expected impacts of the project. 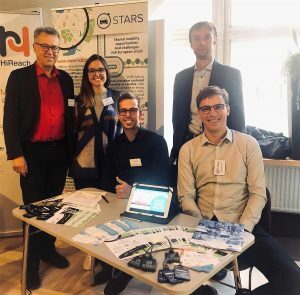 STARS partners welcoming visitors during the CIVITAS Forum. 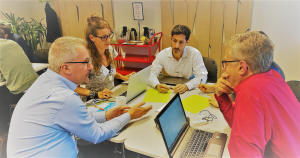 STARS was also involved in the CIVITAS Forum through a joint workshop aiming to answer the following question (using examples from Madrid and Budapest): Is car sharing crucial to the future of sustainable urban mobility in Europe? Participants sharing ideas during the workshop.